We are in such volatility this week. I live in Minneapolis, so we have the added issue of a young black man shot by police and the tension is pretty heavy here as well. 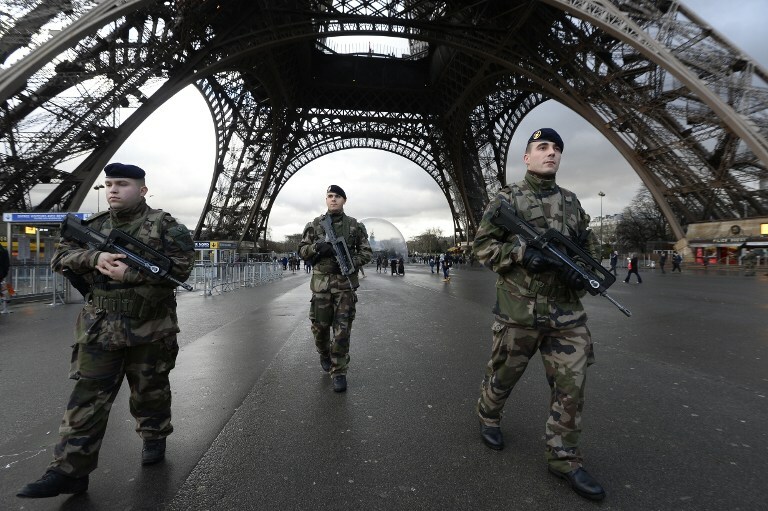 Beyond that “small” local issue… there is France and terrorism. ISIS. Immigration. Governors refusing to let in Syrian refugees. The president firing back. Political candidates yelling. Facebook is just poison. Christians… Christians… yelling at each other over whether to let refugees in or not. In the midst of this week’s turmoil has been our reading in James for MULTIPLY. Today I was moving through the section in James 5 talking about prayer. I was using the IVP commentary as a companion moving through those verses and the author made an interesting connection between James 5:12 and the rest of the section to follow. The author’s contention was that when pressure mounts, we can have the same tendency as the world to ratchet up the volume and “seriousness” of our argument and swearing enters in. We make silly oaths. The answer that follows is simple…and one we don’t like. Especially in this current environment. Yelling is cathartic. Yelling makes me sound serious. Yelling helps me insult someone I’ve really wanted to insult all along but now I have a good excuse. DOG GONE IT! I LIKE YELLING! LEAVE ME ALONE! I’LL PRAY LATER! But what got accomplished? Compared to stepping back and talking to the great King of all kings about any of the world’s current situations? Yelling may feel good, but it accomplishes nothing. Bullet point political rants may make the Twitter feeds, but they don’t solve the problems. Through this portion of MULTIPLY discipleship we are focusing on the need to study the Word of God. We need this anchor. In a world gone mad, we need this anchor. If there isn’t something deadly serious going on in the world (as in ISIS bombings in Beirut and Paris) there is always something ready to offend us (like crazy social media outrages). We can so easily be upset with so many things… real or imagined. This past week came news of a wife who has faced cancer and beat it… and it’s back again and this time the faith is a bit harder to “muster up.” Treatments aren’t going well, more tumors are showing up… Lord! Hear our prayers! We hear news of bombings and the fear can mount up. We pray against cancer and the fear can mount up. It is the steady diet of the Word of God that can keep us anchored. We need his presence in a powerful way and the Word can lead us into that powerful presence. It is today I found myself in Psalm 73. It is a psalm dealing with that very theme: the temptation to lose focus. For the psalmist, the deal was with the wicked and the wealthy. They always seemed to “get away” with things! Why follow God? Why bother? We need the anchor of the Word. We need the presence of the LIVING Word calling us out to gain perspective. It will save us from fear, from hatred, from normal “worldly” responses… and in a day like today, that is precisely what we need.